Let's talk about getting those pictures up on the wall, shall we? I want to share with you a few of my favorite methods. My goal is two-fold: 1) To use the correct support for the weight and size of the picture, whether it is in a frame, canvas or mounted on styrene or gator board. AND 2) Minimize the damage to my walls. Whether you plan to re-arrange your images a lot or whether you think you might move from your current house, less damage is always better in my opinion. :) All of the walls in my house are drywall. So, please take that into consideration when applying hanging methods in your own house. I have found them more useful for the frames that have bumper pads on the back that stick out further than the velcro-type strips do and therefore the velcro-type strips wouldn't work in those scenarios. But with the metal hanging hook, you can use the saw tooth hanger on the back of your frame just as you would on a nail but without damaging your drywall. 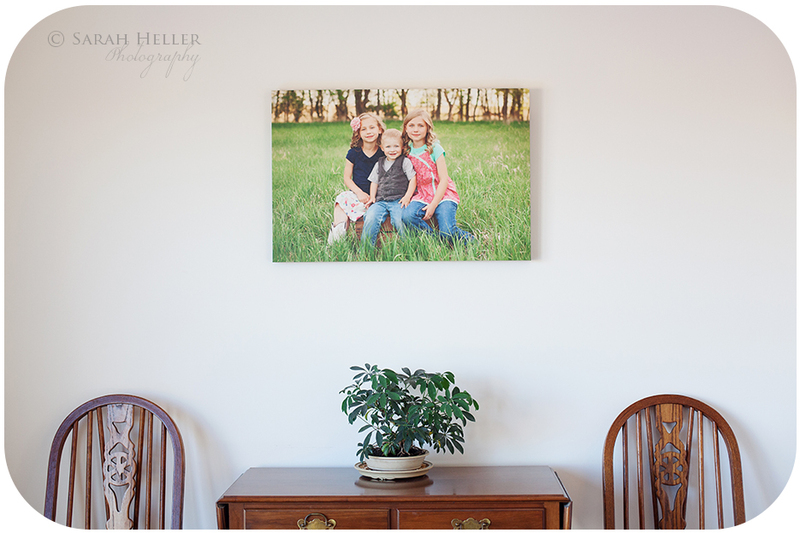 Have a wire hanger for a frame or canvas and don't want to poke another hole in your wall? Here is another product by 3M to help you out. It is what they call a Command Sticky Nail Wire-Back Hanger. use a Monkey Hook! I used one recently on my wall and was very impressed with how easy it was to install. You don't need any tools to install it for drywall, and it works like a charm. The hole that it leaves when you want to remove it is very small relative to a drywall anchor or a screw. And, depending on the size of hook, they can hold up to 20 lbs! I hope this helps you with some techniques to limit damage to your walls in an effort to hang up those pretty pictures! There are more methods out there but I wanted to share a few of my favorites:) Thanks so much for stopping by and please leave a comment if you have a different favorite hanging method!